Home Deals & News The Credit Card Nerd YouTube Live Interview. Saturday 7/14 @ 4pm Eastern. I love chatting with anyone willing to listen about airline miles, hotel points, and credit card rewards. Join me this Saturday, July 14, 2018, at 4 pm Eastern time where I’ll be speaking live with Chase Roberson on The Credit Card Nerd Podcast. We’ll be chatting for about an hour and even take some questions from the audience. Here are the travel news articles that we’ll be sure to talk about. And then we’ll have a discussion on some of my own experiences with airline miles and hotel points. In case you weren’t able to join us during the live broadcast, here is the video replay of our conversation. Watch the video and let me know what you think. 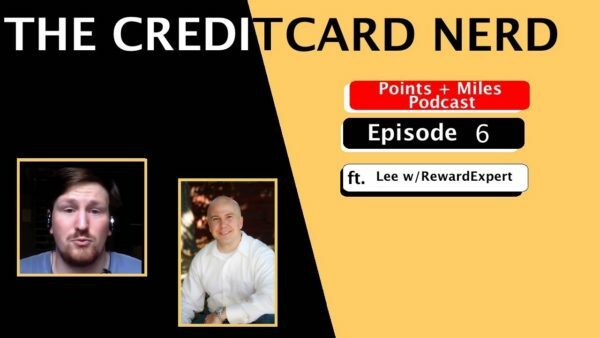 This is a great opportunity to be part of a live broadcast where Chase Roberson and I will be discussing the latest travel and credit card news. If you have any questions for the show, please leave them in the comment section below and we’ll try to include them in the episode.